After being incarcerated since November 2017 for violating his probation, the Supreme Court has granted Meek Mill bail. 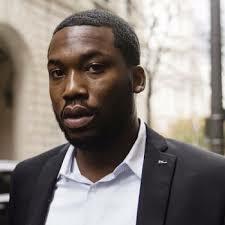 “I’d like to thank God, my family, my friends, my attorneys, my team at Roc Nation including JAY-Z, Desiree Perez, my good friend Michael Rubin, my fans, The Pennsylvania Supreme Court and all my public advocates for their love, support and encouragement during this difficult time,” began Meek. “While the past five months have been a nightmare, the prayers, visits, calls, letters and rallies have helped me stay positive. To the Philadelphia District Attorney’s office, I’m grateful for your commitment to justice — not only for my case, but for others that have been wrongfully jailed due to police misconduct,” he continued. Philadelphia 76ers co-owner Michael Rubin posted a picture on Instagram celebrating Meek’s release from prison. “@meekmill is FREE!!! Just left visiting Meek with @kevinhart4real and I’m on the way back to pick him up as we speak! #MeekisFree #GoSixers”. Last week, Meek Mill told CNN’s Don Lemon that he was optimistic that he was going to get out of jail sooner than later. “I don’t really try to get my hopes up from that court room right there”.